Discussion in 'Installation/Configuration' started by EckyBrazzz, Mar 15, 2017. Currently, I have running several servers but want to change to 1 web- server, 1 mail server and 1 MariaDB server. Also, I want to expand to other regions with the webserver and the MariaDB server, but that is for later. First getting this ready in the Sâo Paulo region. I have my servers on AMAZON and they have an already installed MariaDB server, but I think that I should build another instance with MariaDB. I need to know how to get these servers working together from the web server where I have installed ISPConfig server. I found some pieces here and there but still have some questions before I start. These Amazon instances are expensive. Those will cover the multi-server aspects, though nothing specific to amazon. Well, I followed the guide but got stuck on the part that you have to add the other server mysqladmin. I did it from the shell, but I first installed ISPCONG and used de dbispconfig to add the other servers. What is the correct db to use ? you have to create the root-users for other servers in the db mysql and not in dbispconfg. You can also read https://www.howtoforge.com/tutorial...abase-cluster-on-debian-8.4-with-ispconfig-3/ how to update the mysql-tables. I have followed the guide but afterwards i am unable to get the servers into the main server. I don´t know what I did wrong. 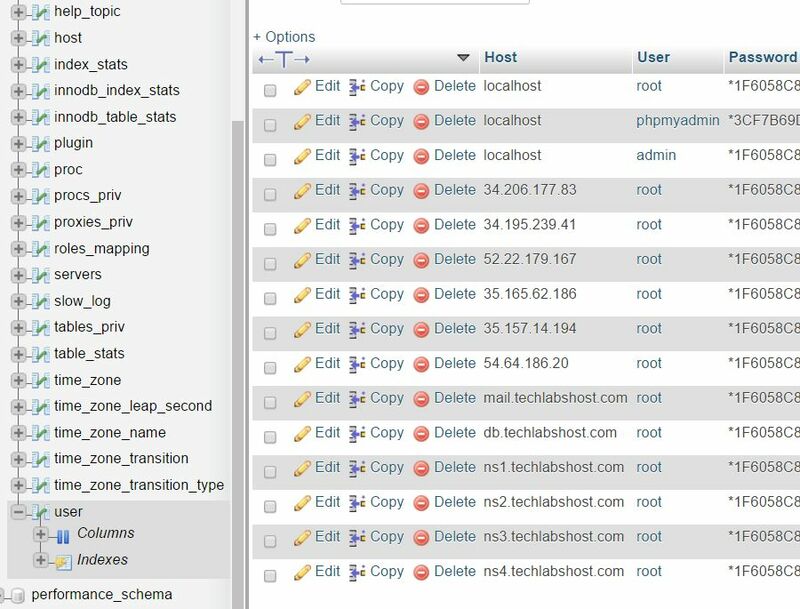 That looks ok for the users table; you might test that the second server can connect and login on mysql as root (mysql -u root -p -h ip.of.master.server). Once you can connect from the slave to the master you should be able to complete the ispconfig installation.